It’s often said that British Columbia is a resource-based province. In actual fact, the reality is much more complex. 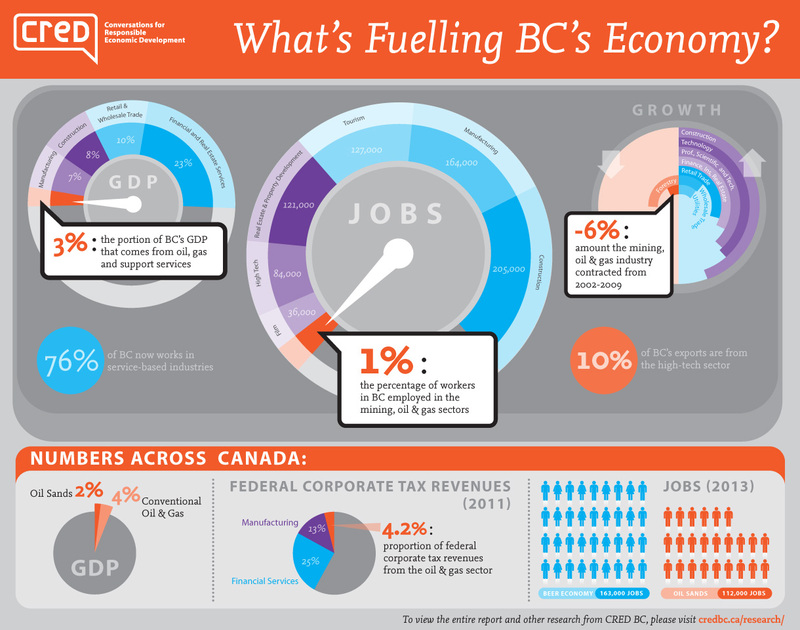 ?While it’s true that much of BC was built on natural resources, and that even today sectors like technology and construction have a certain amount of inter-relationships with primary resource sectors, the basis of our economy has overwhelmingly shifted to service-based industries. More than four-fifths of us work in services and over 76% of our GDP now comes from those sectors, while just 3% comes from oil, gas and support services. Over the past few decades, a quiet but monumental shift has been taking place. In order to decide whether energy development projects should go forward and, if so, what they should look like, it’s essential to have a good understanding of where the sector fits into the bigger economic picture. Of course we know that energy is important to Canada, but how important? In what ways? Is it more or less important than other sectors, and how does it affect other parts of the economy?